Yesterday I told you about our date night in Bristol and how we ventured down to see one of our favourite bands. As soon as we heard that Masked Intruder would be touring we booked our tickets and hotel straight away. Sadly they were not playing Birmingham but it gave us an excuse to go on an adventure. Bristol is a beautiful city and so easy to find your way around. I love that there is a park right next to the city centre which is the grounds of an old castle. So chilled out and beautiful while being surrounded by history is pretty rad. 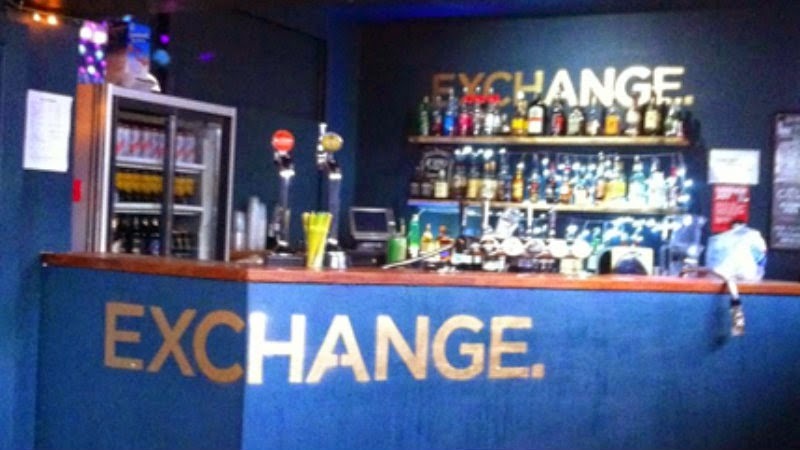 The exchange is in Old Market area which is just a short walk from said park. The venue is actually a great space. The bar prices considering it is a gig are reasonable and there was lots of cider to choose from which is always a winner in my books. The gig area is intimate but big enough so you don't feel like sardines. I have to give the ladies toilets a special mention as it was the most hilarious loo graffiti I have read in a long time. Check out my instagram for the highlights of this. I am glad we got there early as there was a bonus band that we hadn't seen advertised. For any punk nerds out there you may remember 4ft Fingers from a few years back. A band still well played in my household with catchy sing along anthems. 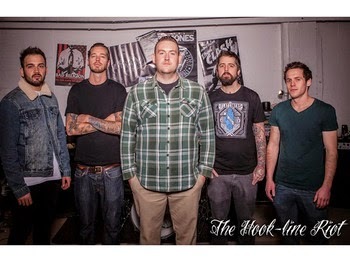 They did a bit of a reunion tour recently which sadly I missed but stoked I got to see The Hook Line Riot which is a new band from the some of the same guys. Ballsy, heart felt punk that you expect from the finest of UK bands. I can't wait to hear more from these guys. Go check out their new album Sirens. 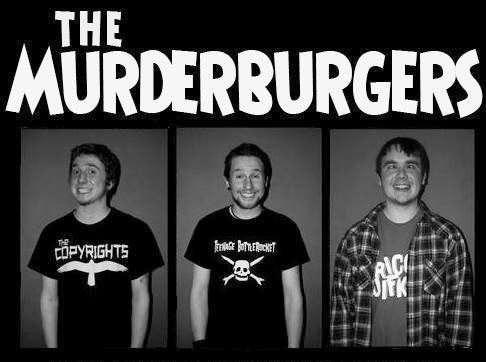 Next up was the billed support band all the way from bonny Scotland the awesomely named Murder Burgers. A young band with lots of energy and a great sense of humour they had a lot of the crowd jumping. They played well and were pretty cool with a lot of energy to give. Plenty of banter to get the crowd hyped up. Show them support and check out their bandcamp. I felt like a teenager waiting for Masked Intruder to come on, edging my way to the front waiting eagerly. If there is a punk band that is going to make ladies swoon it is definitely Masked Intruder with their alternative love songs which have quickly become the soundtrack to my relationship. This band has so much personality they have to try and curb it by sporting coloured masks and bringing their own police officer to keep them in check. 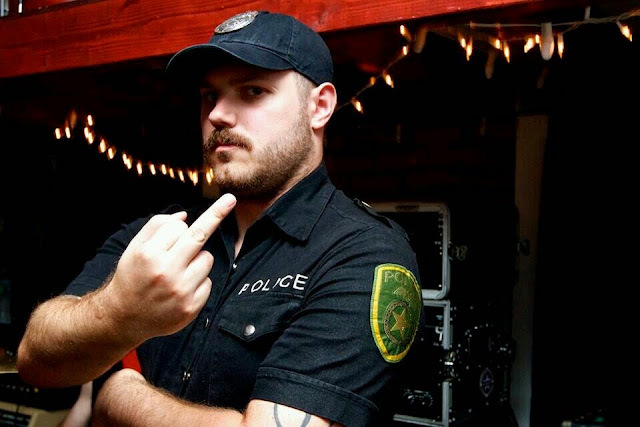 Officer Bradford is a force on his own. Getting the crowd hyped up teasing the band and it is your job as the crowd to get him to join in the fun. Shots of whiskey usually work! The interaction from this band is second to none, throwing our high 5's to the crowd, sticking around for pictures, and you can even catch green and officer Bradford down in the crowd for a dance off. A really humble band with a lot to offer. Bursting onto the stage straight into 'Stick Em Up'. Everyone jumping and singing along. 25 to Life was a personal highlight for me and it was just so awesome to see a band I have been listening to almost daily right in front of me with my boo. We even got a few covers including NOFX's Linoleum. Heart shaped guitar called for a lady in the crowd to give the boys a run for their money and she did us girls proud. Major kudos for Green who can throw out some serious high kicks. Even after a huge set the crowd chanted for more and was not disappointed when they returned to play more for us. After joining the crowd to hang out but we shook a few hands praised some tattoos and then left them being showered with praise by the rest of the crowd, Come back soon guys! 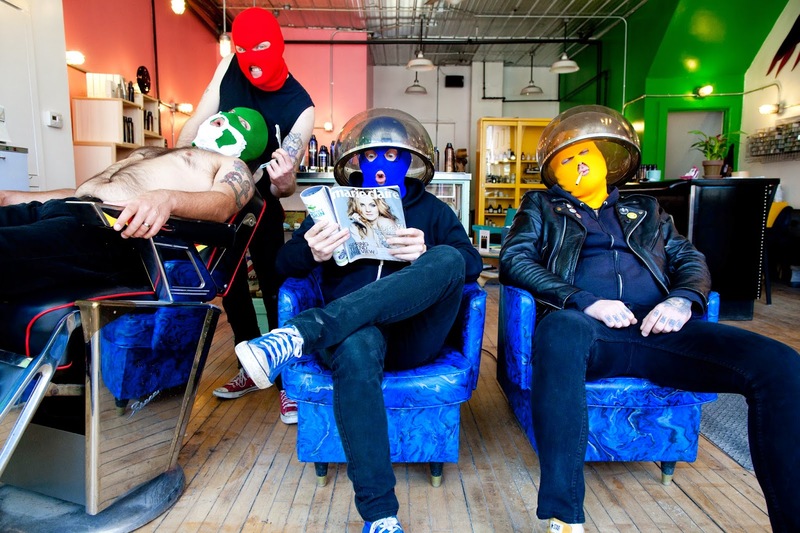 Have you been to see Masked Intruder? What was the last gig you went to? they sound pretty cool i love those ,masks!! Looks like you've had an amazing time! I've heard really great things about Bristol and can't wait to see it having read your glowing report (the castles sounds amazing). I haven't been to a gig in so long! I used to go like every weekend when I was a teenager. Last band I saw was foals like over a year ago now!